More and more people are pursuing a longer working life. 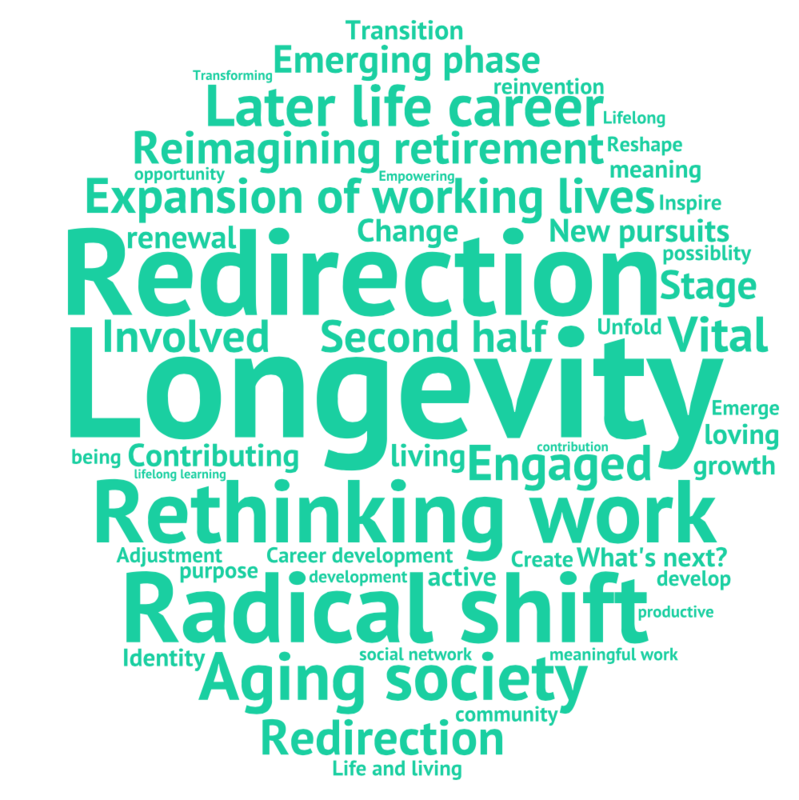 Redirection speaks to this rethinking of work and income options for later life. I coined the term redirection to refer to the new stage of career as individuals transfer their skills, experience and knowledge in a new direction. By pursuing a new occupation, individuals are able to use some of their strengths while learning something new. This provides revitalization. Northumberland County residents are invited to participate in the Magnet Redirection Project as part of the age-friendly initiative. Attention Northumberland County Residents, please click here: Magnet Redirection Project. The Redirection Project examines how Canadians in their 50s, 60s and beyond are turning away from traditional notions of ‘retirement’ to seek new employment. There is a radical change taking place with an expansion of our working lives and re-imagining of retirement as the baby boomers enter what has traditionally been viewed as their retirement years. The Redirection Project is a CERIC-funded national research initiative. The project consists of a national survey (see below), success stories to help inspire others and a documentary film (see the story contest). The research examines partipants’ experiences with later life work and career development as they shift gears and pursue new types of work. If you are age 50 or over and seeking new employment (or have already found your new career), you are invited to participate in important research about this topic in order to help others in similar circumstances. To participate, please click on one of the following links. The project has received great coverage in the Globe and Mail. Recent York University YFile press: September 2015 and January 2016 articles.